For dogs that are kept indoor, train your dog to pee and poo at the place that you want is important. With dog that know where to Poo and Pee will save their owner great amount of time. Dog owners will be relieved of the burden of having the need to keep on cleaning up the mess everyday. 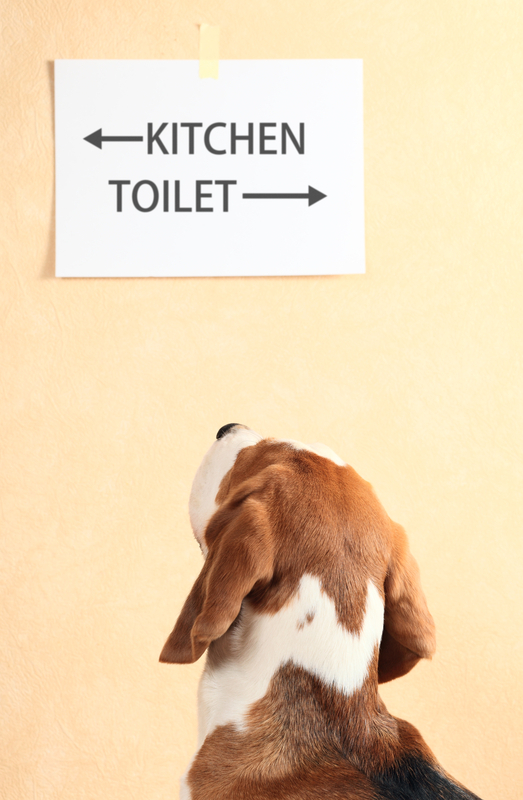 Dog Potty Training is place and smell specific and hence it need to be trained at your home. If you need help on Potty Training for your dog, you can sign up for One to One Training where we will be able to send one of our trainers to assist you on the toilet training for you dog. The Training fee is RM 2000.00 for a complete course of 10 lessons for area around Kuala Lumpur city center and some part of Petaling Jaya. For other area, there is a charge for additional transportation fee. Please use the link at the bottom of this page to check the actual fee. In the event that you location is not list in the drop down menu, do give us at call at 019-3256289 and we will be able to confirm that fee for you. 3 Dogs – RM 4500.00 – 10 Lessons, 2.25 hours each lesson (in total)Additional Fee applies for different locations. Not to run out of gate without permission. Full payment of the total training fee for 10 lessons before we commence to arrange the dog obedience training for you. Once payment is made, we will assign one of our trainer for you within 24 hours. Our trainer will then contact you to fix the training schedule.